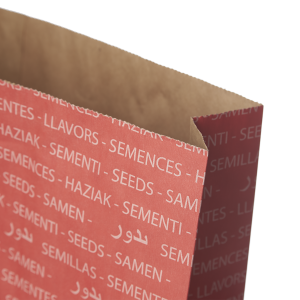 If you don’t need the extra toughness of a polywoven bag or weather-proof qualities of polyethylene or BOPP bags, multi-walled paper bags are an affordable and still very strong option for packaging agricultural seed, feed, minerals, and grains. Paper is recyclable, as well, if that is a benefit for your end user. Sewn end of a sewn-open mouth bag. Open end of sewn-open mouth bag. 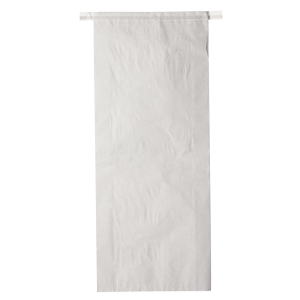 We are happy to help you with a custom order: either special sizes or printing with your logo or other custom artwork on both kraft and bleached multi-wall paper bags.